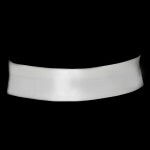 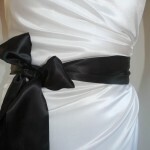 This gorgeous bridal sash is made with 2 layers of black satin fabric.Simple and beautiful.You will look stunning wearing this sash on your wedding day.Also would be great for bridesmaids or flower girls.Product Description Bridal Belt 40 Simple matt satin bridal wedding belt sash. 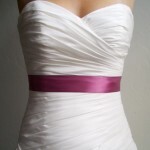 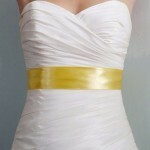 This belt is perfect for adding the perfect finishing touch to your wedding gown. 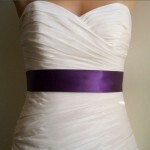 Bridal belts are the newest trend for wedding gowns and help to accentuate the waistline creating a more glamorous look and sleek figure. 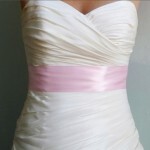 This bridal sash can be tied in a bow in the back of the gown or altered to your gown to be worn as a bridal belt.